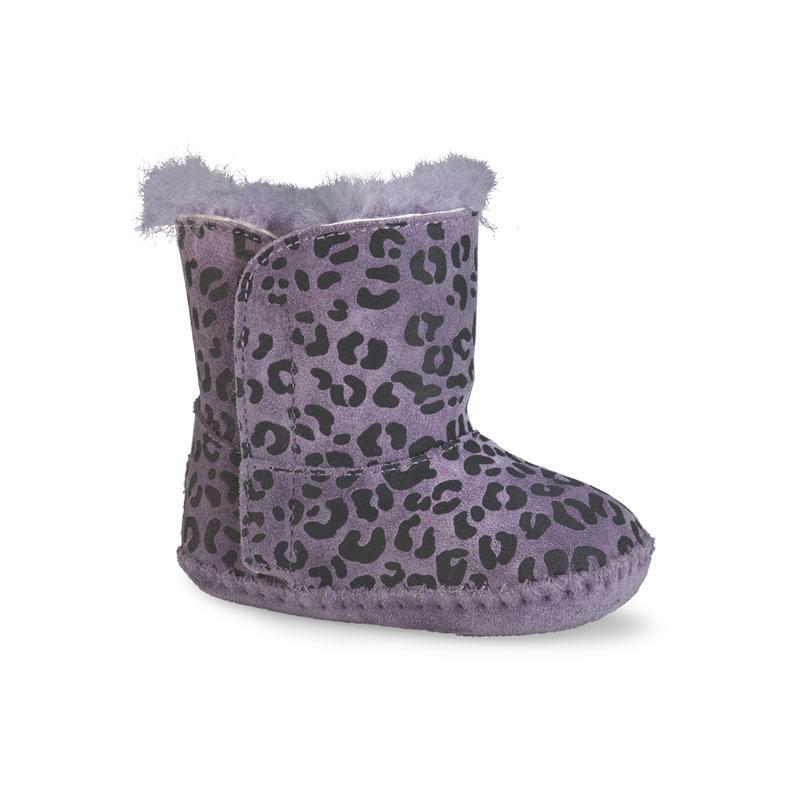 Crafted from lush leopard-printed suede, the Cassie Leopard is Classic Collection feel meets statement-making flair—taken down for the tiniest feet. 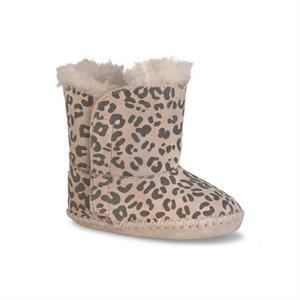 Flaunting a soothing sheepskin lining, this infant bootie keeps little ones dry and toasty in definitive UGG® fashion. Suede upper with leopard print. Suede and molded rubber outsole. Hook and loop closure on side.